An incredible goal needs a great celebration. Rasmus Ristolainen was clearly trying to match his unbelieveable second-period marker on Tuesday with a celebration of similar caliber. 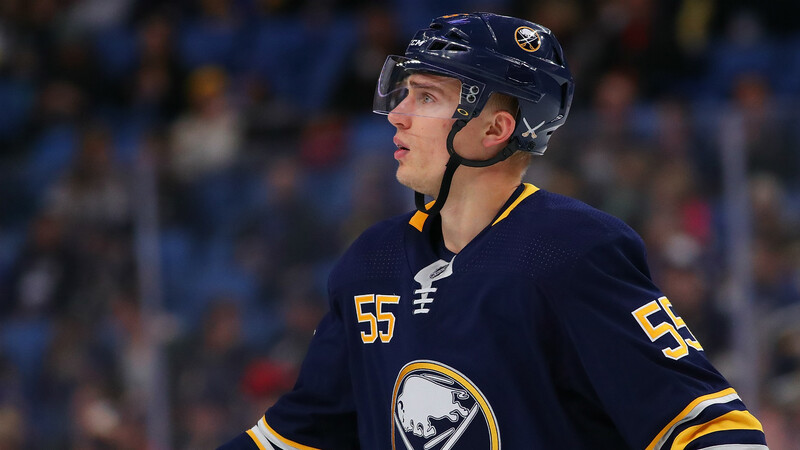 The 24-year-old Buffalo Sabres defenseman isn’t known for his prowess in front of goal, but Ristolainen looked like a seasoned scorer at the 14:42 mark of the second period against the San Jose Sharks. Ristolainen carried the puck down the left wing and blew by Brent Burns with a between-the-legs move before cutting in and beating goaltender Martin Jones. The post-goal celebration, which involved Ristolainen furiously twirling his stick, may not have matched the goal, but it certainly showed creativity from the Finn. Ristolainen’s marker was the opener as the teams battled to a 2-2 tie through 60 minutes. The game required overtime to decide a winner, with Buffalo’s Jeff Skinner securing the ‘W’ for his team 1:41 into the extra frame. Buffalo has won 10 games in a row.